The doings of Count Emico are among the most notorious of all the Crusaders, though few know his name. When you hear reports of Jews being murdered during the Crusades, most of the time it will be his actions that will be cited. 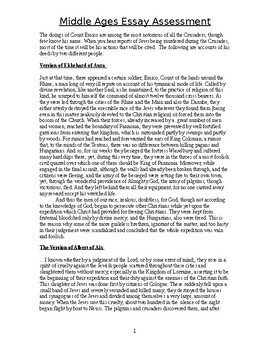 In this resource, students will read two accounts of his deeds by two different people. 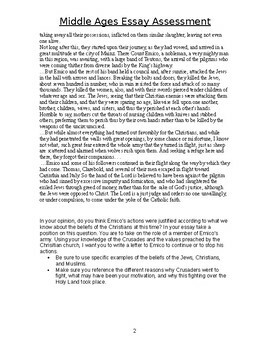 They will then determine if they think Emico’s actions were justified according to what we know, and what they have learned, about the beliefs of the Christians at this time. In their essay they will take a position on this question, by writing a letter to Emico telling him to continue, or to stop his actions.